I was intrigued by Chewy's Aloo Bhorta, so after discovering it was a sort of spicy, mashed potato side dish, I checked out a few recipes and settled on one by Shanaz Rafiq. 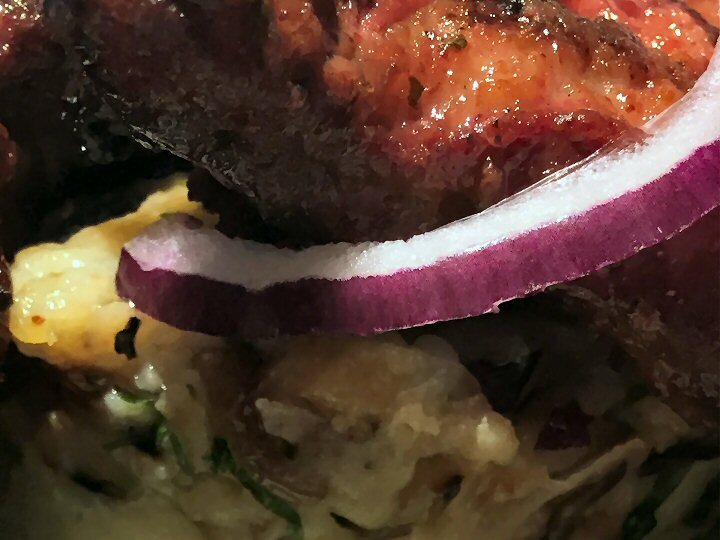 Not owning a tandoor, the chops were fired on the charcoal BBQ before hitting the plate with the Aloo Bhorta, side salad and Naga pickle. Very nice indeed. 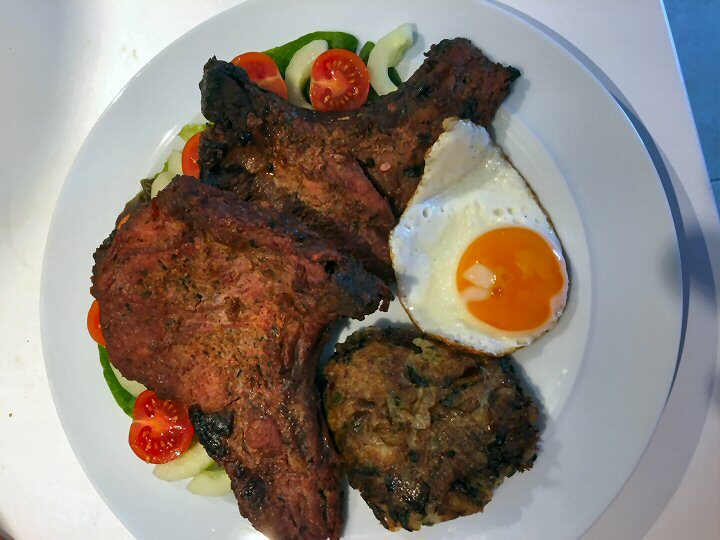 I never got around to making Unclefrank's suggested nargis kebabs - but I will! - and thanks to Chewy, I've discovered a new and delicious side dish. And so, onto the leftovers for brunch today! 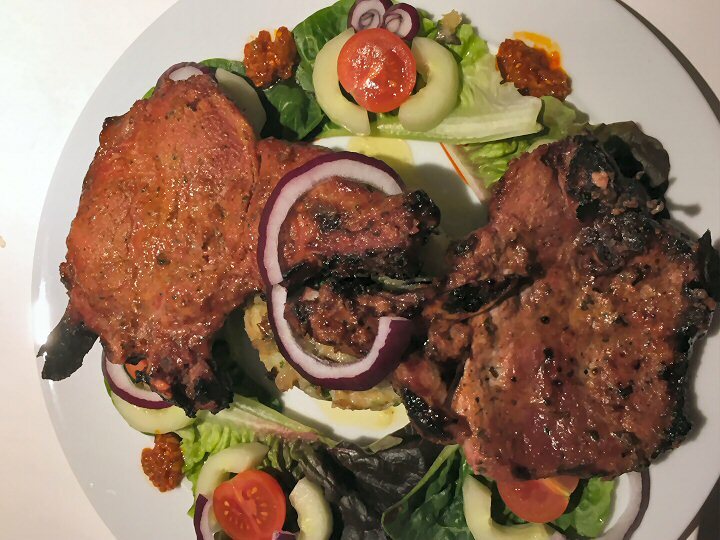 Ok, i give in, All these pictures of delicious looking tandoori chops is just too much. To hell with the expense, i'll give 'em a go and post my efforts as soon as i've concluded my vindaloo journey, which hopefully will end in the week, at long last. as they can be amazing. That just looks great Naga.